They don’t binge on Wotsits or visit the local fish and chip shop a little too often; they aren’t kept up at night worrying about bills, their car or the nightmarish day at the office in store for them tomorrow. They live an active lifestyle and they CERTAINLY don’t head out for a pint or seven at the end of the week. Yet… hypertension (high blood pressure) is a bigger problem than we think and much more common in dogs and cats than is currently recognised. The problem is that high blood pressure doesn’t have specific signs and as such, is hard to notice in our pets. It often mirrors other clinical conditions, which can be easily overlooked. Most of the time, high blood pressure cases in humans are what’s known as primary (or essential) cases. This simply means that their hypertension is not a side effect of another disease and is most likely to be a result of lifestyle factors. Causes of primary hypertension in dogs and cats are something of a mystery. It remains rare and the only real lead veterinary experts have is that dogs and cats afflicted with primary hypertension can often pass the condition on to their offspring. 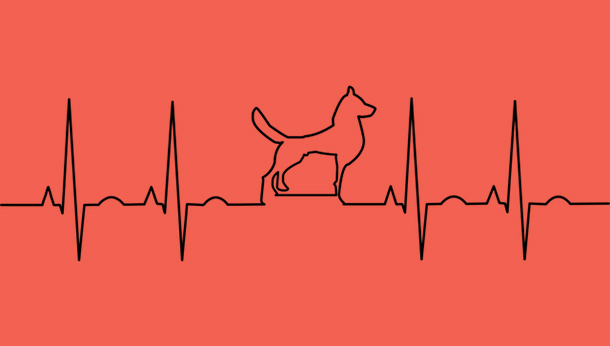 For the most part, however, if a dog or cat suffers from high blood pressure, it is most likely to be from secondary hypertension – high blood pressure associated with a pre-existing or underlying medical condition. This is probably more common than we realise at present, accounting for around 80% of all blood pressure cases in cats and dogs, the most common of which being renal disease, hormonal fluctuation, hyperthyroidism and in rare cases, diabetes. Blood pressure tests on pets consist of an inflatable cuff around their leg or tail, and a device that detects blood-flow through their arteries. It’s done in a similar way to humans but unfortunately, getting pets (cats in particular) to sit still can be a real challenge. Cats are also particularly prone to what’s called ‘White Coat Syndrome’, whereby blood pressure rises due to stress. Because of this, most vets will take repeated samples from a cat over several hours. If a cat’s blood pressure reading is 160/119 or higher, your vet will advise treatment. If they are as high as 180/120, treatment should be undergone immediately. These measurements also apply for dogs. As always, we implore you to contact your vet right away if you think something is up. In the case of secondary hypertension, your vet’s first port of call will be to draw up a treatment plan for the causal condition e.g. kidney disease or hyperthyroidism. There are plenty of medicines and treatments available for hypertension, such as beta-/calcium channel blockers or ACE inhibitors. Depending on the severity of their condition, vets might recommend you feed your cat or dog a low-sodium or weight-loss diet. The most important thing is to stay aware of the signs, to have your pet’s blood pressure checked regularly and to contact your vet if your pet’s behaviour is strange in any way.